Open to SkillsUSA Middle and High School members. 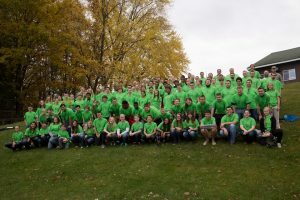 SkillsUSA Fall Leadership Conference (FLC) focuses on developing leadership, team building, and chapter man­agement skills. The conference has training tracks for students and advisors that teach the skills needed to be champions at work in both our communities and in our personal lives. The conference registration will include all meals, All workshop and training materials, and SkillsUSA WI Leadership t-shirt. To book your rooms call (855) 881-8280. Room block will close October 1st. Meals: The conference package includes three meals. Cancellation Policy: Cancellations deadline is October 2, 2018. No refund will be allowed. Substitutions may take place through arrival at conference.